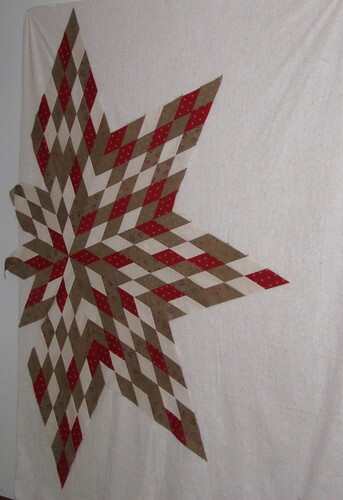 A little while back a friend from college, Marcy, asked if I would be interested in making a Lone Star quilt for her. She was inspired by a partial Lone Star wall hanging she saw on Pinterest, which came from this post at Better Off Thread. 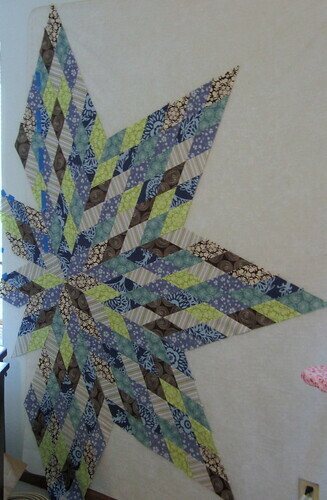 With strips cut at 3.5", the star came out bigger than I wanted -- and that's why I'm glad I practiced first. Plus, some day I'll finish this up and keep it for myself. I love the fabric combo. 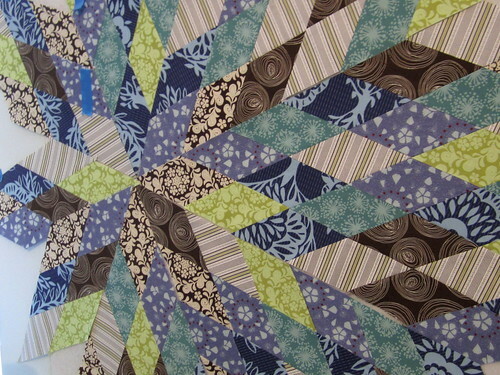 Back to Marcy's quilt -- I cut strips 3" wide, pieced them together in sets of 6, and then cut them on a 45-degree angle to form the large points of the star. 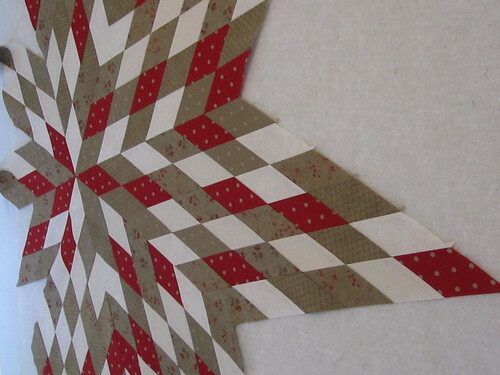 The star is 79" tall and I expect it to be around 42" wide, with a straight edge on the left where it's only partially pieced. The negative space will be filled with dark red solid, which I have to tackle next.